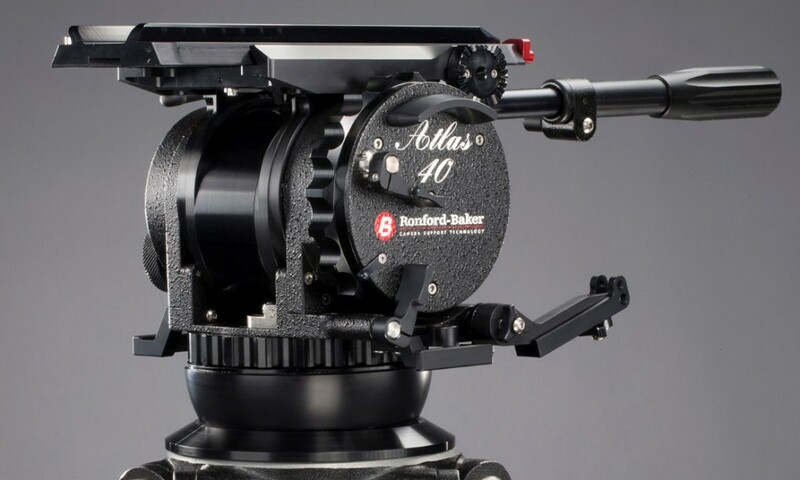 Excellent Fluid Head for Alexa, RED Epics and Sony F55 …etc. Pan range 360 degrees continuous Pan bar mounts. Stand off protection on both sides of the head. Short plate has 7” / 18 cm movement. The Long plate has 13” / 33 cm movement. Fluid system, 7 steps pan & tilt with zero positions at either end of the scale. Counterbalance can also go into “Free” position. Spirit level with Tritium light source. Smooth positive braking on pan & tilt. 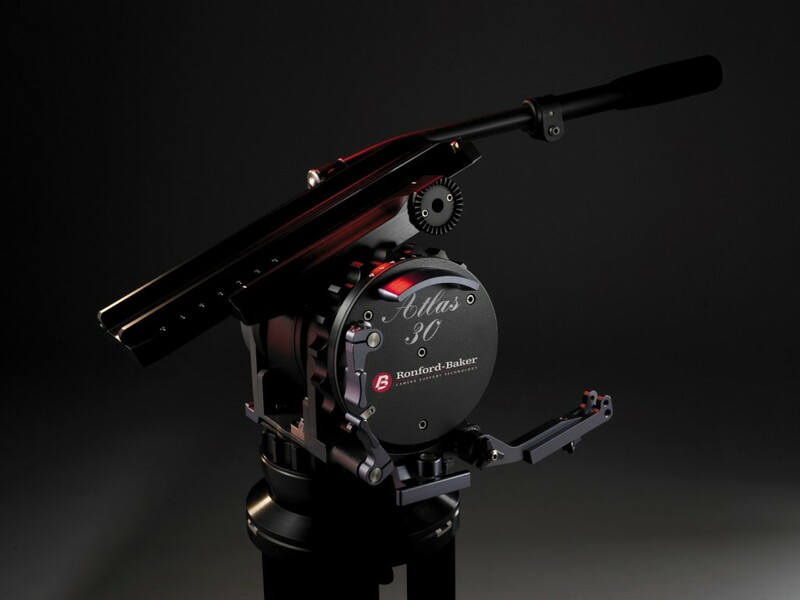 The “Atlas 30” is a completely new design head, with a patented counterbalance system. Capable of taking camera‘s up to 30 Kgs (66 lbs) @ 25 cm (10“) above the heads pivotal centre. Operated by a single control knob, from 0 – 100 %. Incorporating the well proven Ronford-Baker fluid system, with 7 stages of fluid control on pan & tilt. With a zero (free) position. These give unprecedented smoothness & accuracy of control & balance under all situations. Camera mountings Arri Dovetail slide or 2 x Sliding Quick release plates. Short plate has 7” / 18 cm movement. The Long plate has 13” / 33 cm movement.